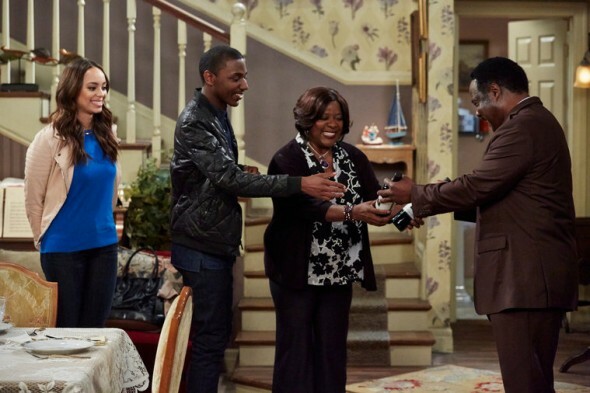 NBC has renewed their latest sitcom, The Carmichael Show, for a second season. UNIVERSAL CITY, Calif. – Sept. 14, 2015 – NBC has renewed its critically acclaimed and hit summer comedy “The Carmichael Show” for a second season. Starring Jerrod Carmichael, David Alan Grier, Loretta Devine, Amber Stevens West and Lil Rel Howery, “The Carmichael Show” is inspired by Jerrod’s relationship with his say-anything contrarian father, his therapist-in-training girlfriend, his ever-hustling brother and his mother who is always, always, always right with Jesus. The series hit its stride by focusing on hot-button issues that are part of the current national dialogue, including religion, gun control and race relations. The 9 p.m. ET edition of “The Carmichael Show” was the most-watched summer comedy on the Big 4 networks in eight years and tied for the #1 summer comedy over that span in adult 18-49 rating, averaging a 1.1 rating, 4 share in 18-49 and 4.7 million viewers overall in “live plus same day” averages from Nielsen Media Research. In total viewers, the 9 p.m. “Carmichael” was the top summer comedy on ABC, CBS, NBC since 2007. Among those giving strong reviews for “The Carmichael Show” were the Los Angeles Times (“‘The Carmichael Show’ balances pointed topicality with humor”), Newsday (“One smartly crafted comedy”), San Francisco Chronicle (“Everybody loves Jerrod on ‘The Carmichael Show’”) and Hollywood Reporter (“The cast works very well together, cohering as a discordant family unit with great ease”). Jerrod Carmichael, Nick Stoller, Ravi Nandan and Danielle Sanchez-Witzel serve as executive producers. “The Carmichael Show” is co-produced by 20th Century Fox Television and Universal Television. What do you think? Do you like this NBC sitcom? Will you be watching season two of The Carmichael Show? Love The Carmichael show and having Crowded follow was the icing on the cake. I like the way the family picks a topic each week that a lot of us can relate to. Please keep this show on the air NBC its a good clean and healthy show! !